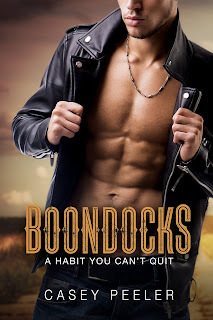 Boondocks was a refreshingly sweet romance that had this book whore needed to read to break up some of the darker books I have read as of late. 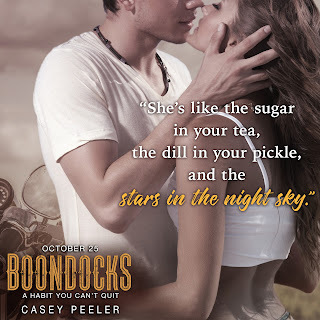 If you go into Boondocks thinking this is a steamy romance than I think you may be disappointed, but then again it may surprise you how much you like it once you get into the story, I know I did. The relationship between Chauna and Walker was one that you love to read about. The bad boy meets the good girl and wants to change because she makes him want to be better, does that happen in Boondocks? Well you know the drill you will have read the book to find out but I think you will love these characters and the story that Ms. Peeler has written will find a place in your heart and leave you feeling fulfilled at the end.